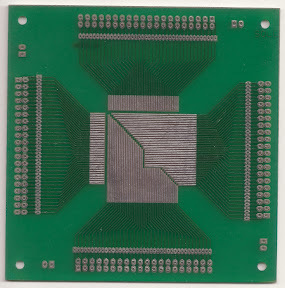 So what do you do if you want to assemble a prototype of a project based on an IC which is only available in Surface Mount Package like one of these? 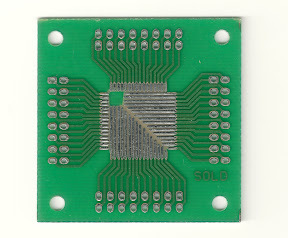 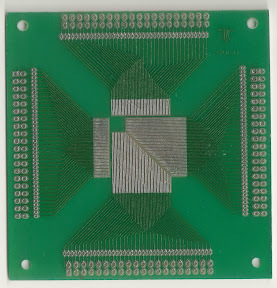 Make sure that before you solder your IC to the breakout board, you do remove the extra tinning from the tracks using a soldering iron and copper desoldering braid as shown in the photo below. 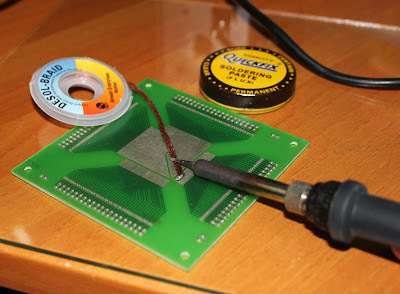 Use of soldering paste while doing this is recommended. 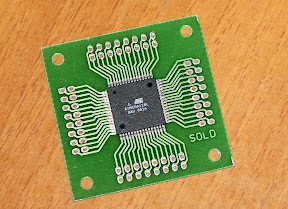 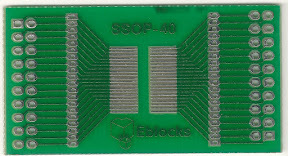 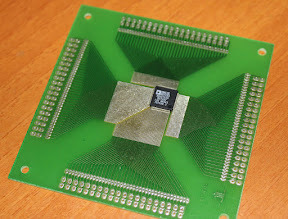 This will flatten the tracks and the you would be able to easily and accurately position the SMD IC before soldering it. 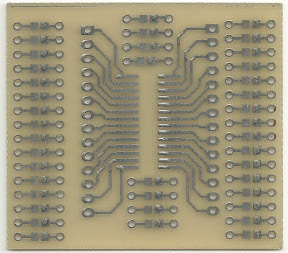 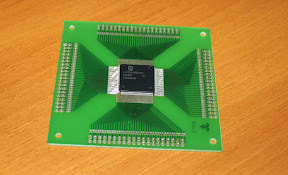 Eagle design files of a few other breakout boards are also available here. 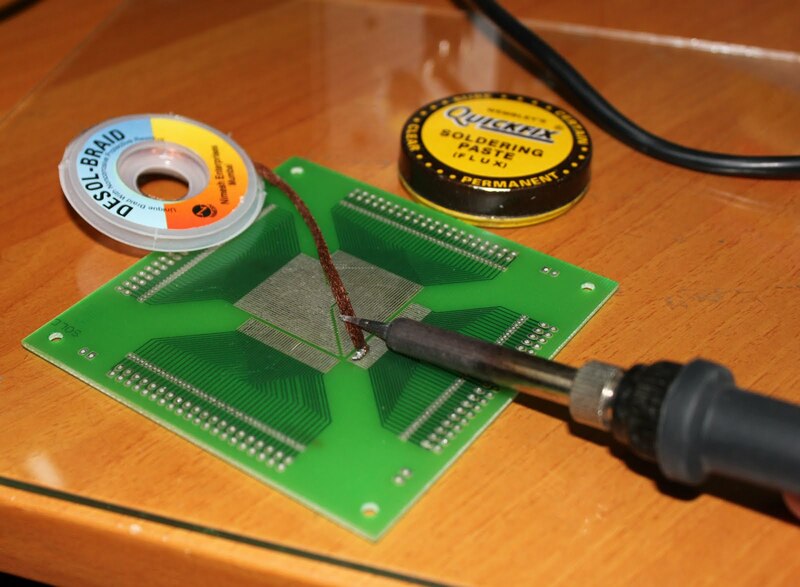 Labels: Electronic Components, How to?